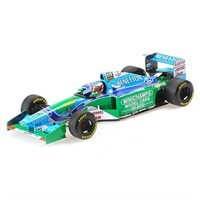 Minichamps 1:18 diecast model of the #5 Benetton B195 as driven by Michael Schumacher in the 1995 Australian Grand Prix. Minichamps 1:18 diecast model of the #5 Benetton B195 as driven to victory by Michael Schumacher in the 1995 German Grand Prix. Minichamps 1:18 diecast model of the #5 Benetton B194 as driven by Michael Schumacher in the 1994 Australian Grand Prix. Minichamps 1:18 diecast model of the #5 Benetton B194 as driven by Michael Schumacher in the 1994 German Grand Prix. Minichamps 1:18 diecast model of the #5 Benetton B193 as driven to victory by Michael Schumacher in the 1993 Portuguese Grand Prix. 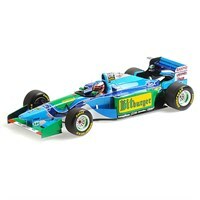 Minichamps 1:18 diecast model of the #5 Benetton B193 as driven by Michael Schumacher in the 1993 German Grand Prix. 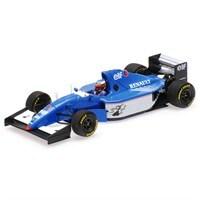 Spark 1:43 resin model of the Ligier JS39B as driven by Michael Schumacher in the 1994 Estoril Test. Minichamps 1:43 resin model of the #5 Benetton B194 as driven by Michael Schumacher in the 1994 Australian Grand Prix. 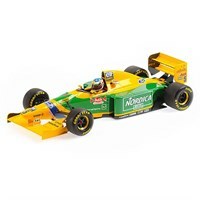 Minichamps 1:43 resin model of the #5 Benetton B194 as driven to victory by Michael Schumacher in the 1994 Monaco Grand Prix. Minichamps 1:18 diecast model of the #19 Benetton B192 as driven by Michael Schumacher in the 1992 German Grand Prix. Minichamps 1:18 diecast model of the #19 Benetton B192 as driven to victory by Michael Schumacher in the 1992 Belgian Grand Prix. Minichamps 1:43 resin model of the Ligier JS39B as driven by Michael Schumacher in the 1994 Estoril test. 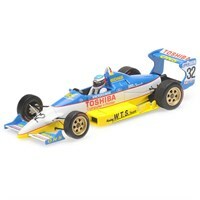 Minichamps 1:43 resin model of the #32 Reynard F893 as driven by Michael Schumacher in the 1989 Macau Grand Prix. 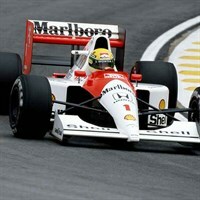 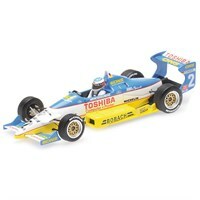 Minichamps 1:43 resin model of the #2 Reynard F893 as driven by Michael Schumacher in the 1989 German F3 Championship. 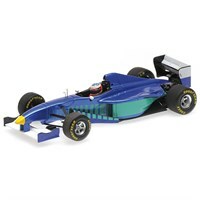 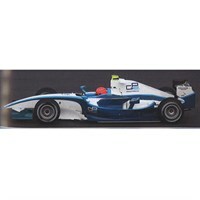 Minichamps 1:43 resin model of the Dallara GP2 as driven by Michael Schumacher in the 2010 Jerez test. 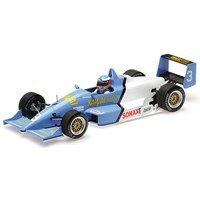 Minichamps 1:43 diecast model of the #32 Jordan 191 as driven by Michael Schumacher in the 1991 Belgian Grand Prix. 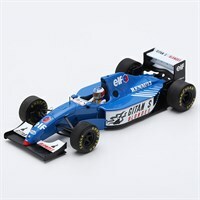 Minichamps 1:18 resin model of the #23 Reynard F903 as driven to victory by Michael Schumacher in the 1990 Fuji International F3 League. 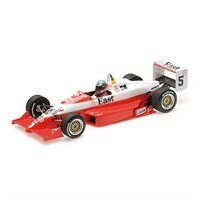 Minichamps 1:18 resin model of the #5 Reynard F903 as driven to German F3 championship victory by Michael Schumacher in 1990. Minichamps 1:18 resin model of the #3 Reynard F903 as driven to victory by Michael Schumacher in the 1990 Macau Grand Prix. Minichamps 1:18 diecast model of the #32 Jordan 191 as driven by Michael Schumacher in the 1991 Belgian Grand Prix. 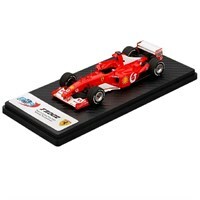 BBR Models 1:43 resin model of the Ferrari F2002 as driven by Michael Schumacher in the 2002 French Grand Prix. 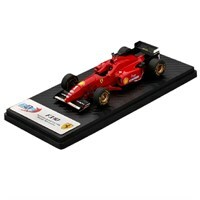 BBR Models 1:43 resin model of the Ferrari F310 as driven by Michael Schumacher in the 1996 Australian Grand Prix.